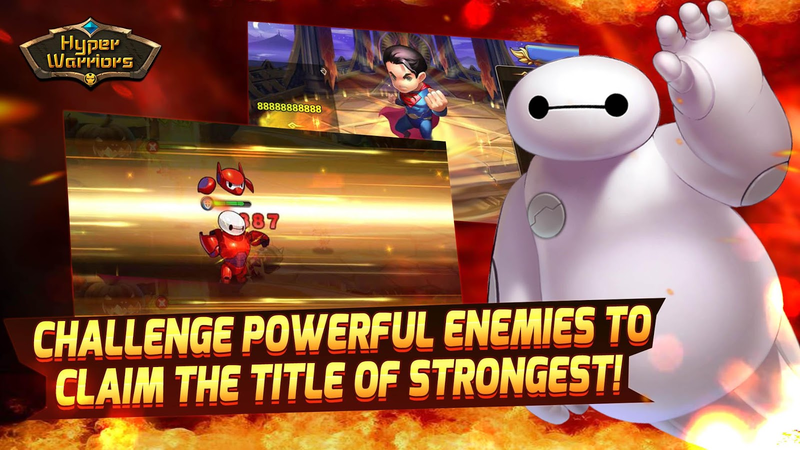 It is time to live your super hero dreamsasyou fight with your favorite heroes. Dark or Light side heroes? It’s your choice as you createteamswhile collecting your favorite super heroes. Make keyStrategicMoves and pick teammates with complimentary abilities toassembleunbeatable squads! Upgrade your heroes’ abilities as you play for even morepowerfulattacks and strong lives. Then fight other players in 3v3Battles,PvP Arena, Cross-server Challenger, and Twisted SpaceAdventures toachieve greatness. Lead Raids with friends and face off against powerful bossesbycreating one customizable League! Command your Leaguemembersthrough League Chat and engage in Daily League Activities toearnrare rewards. Stake out your spot at the top of theLeagueLeaderboards and watch your legend grow. Visit https://www.facebook.com/superhero.cw or @superhero.cwtofollow us on Facebook for the latest news and support. It is time to live your super hero dreamsasyou fight with your favorite heroes.CREATE THE ULTIMATE TEAMDark or Light side heroes? It’s your choice as you createteamswhile collecting your favorite super heroes. 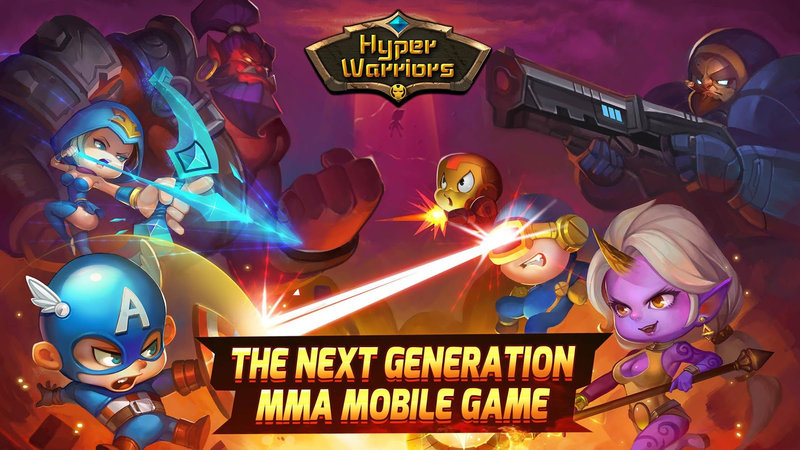 Make keyStrategicMoves and pick teammates with complimentary abilities toassembleunbeatable squads!BECOME MASTER OF THE WORLDUpgrade your heroes’ abilities as you play for even morepowerfulattacks and strong lives. Then fight other players in 3v3Battles,PvP Arena, Cross-server Challenger, and Twisted SpaceAdventures toachieve greatness.RISE TO THE TOP IN LEAGUESLead Raids with friends and face off against powerful bossesbycreating one customizable League! Command your Leaguemembersthrough League Chat and engage in Daily League Activities toearnrare rewards. Stake out your spot at the top of theLeagueLeaderboards and watch your legend grow.Download now for free!Visit https://www.facebook.com/superhero.cw or @superhero.cwtofollow us on Facebook for the latest news and support. 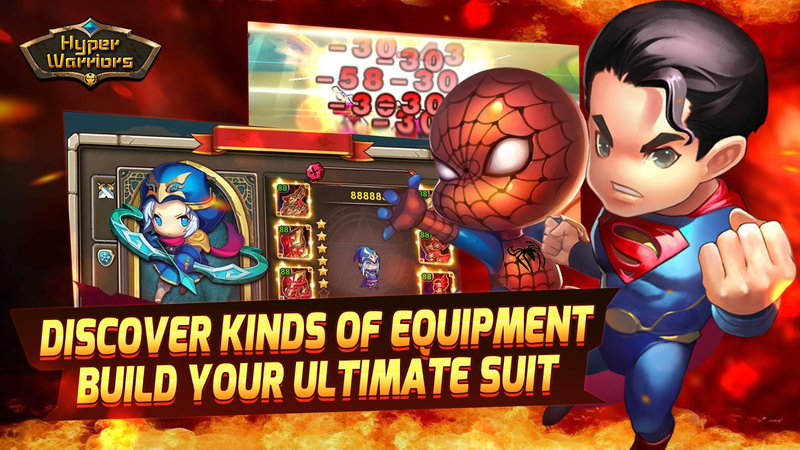 An epic adventure with 80 types of Heroes and 240 types of cuteMinimons!▶ Features ◀1. A new world where you can prove your power,World Class RPG!Global Ranking system available2. SpectacularGraphicsExperience the spectacular skill effects and graphics onlyavailable on Full Action 3D3. Housing system using various Skinsand ItemsPersonal Customizing4. Joy of CollectingCreate set itemsfor the cute Minimons and Heroes5. Strategical GameplayAstrategical party with 5 different attribute combinations.6. A widevariety of contentsStarting from the date of launch, you can enjoyAdventure Mode, Envoy's Story, Tower of Heroes, Raid Festival andeven Arena.7. In-depth storiesStories with amazing effects and anew view of the world.▶ Official Websites ◀1. Official FacebookPage: https://www.facebook.com/MinimonMasters• Available inEnglish, 日本語, 中文繁體, 한국어ⓒPATI Games. All Rights Reserved. Land of Heroes is a non-stop action RPGfeaturing real-time MOBA PvP and frantic dungeon-crawling PvE!Enter a world of superheroes and villains and blast your waythrough a massive action-packed adventure! Gather heroes fromacross the land and lead your team to victory in exhilaratingreal-time combat! [FEATURES]● Free to Play Multiplayer Online MOBA and ARPG with simplecontrols!● Countless heroes to recruit and styles to master. 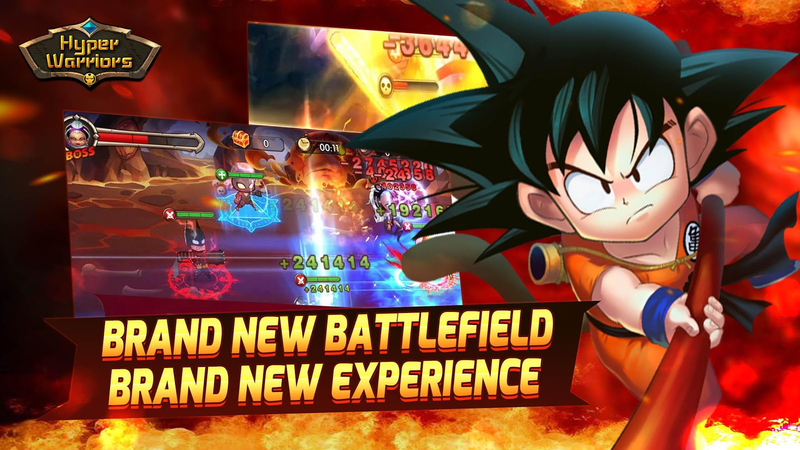 Make your ownAWESOME team!● Train, evolve and equip your own powerful heroes!● Play & chat with millions of players worldwide in realtime!● Battle horrifying, evil monsters and explore a world of magic andmystery!● MOBA combat with simple, intuitive controls and fast-pacedgameplay with ~3 minute matches!● Go head to head in thrilling 1v1 duels LOH!● Challenge other players in the Zenith Season to become theultimate champion!Combining all the fun of RPGs and MOBA games, LOH provides you withhundreds of superhero combinations to choose from. Recruit them,train them and level them up to form your very own superpoweredteam!Battle bots or other real players online -- assemble your team andembark on an epic quest to defeat the evil Professor Z!Challenge rival clans in Normal and Heroic PvE instances -- yourenemies may be dangerous and the odds may be stacked against you,but the risks are well worth the rewards in this intriguing storyof heroes and monsters.Note: LOH requires an internet connection to play. [SUPPORT]Are you having problems with the game?Contact us via Facebook:https://www.facebook.com/LandofheroesofficialOr Email: [email protected]…or simply tell us in-game! Head to the main interface > tap thetop left avatar button > tap the "Scroll" icon > then send usyour suggestions or comments! The Age of Heroes has begun! Wield a mighty party of champions inthis exciting tactical RPG! Fight for survival as you collect lootand equip heroes! Become the ultimate summoner as you call onChampions to join your force against fierce Boss Monsters andIconic Raids!